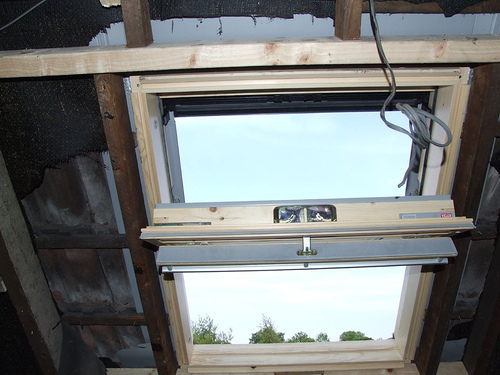 When undertaking a loft conversion one of the most important factors to consider pre-build is the amount of existing headroom in the roof space. In fact, during the planning stage of the project, this is the most important point to consider. It is really quite obvious that when the project is completed you want a loft room in which you will be able to walk around easily and comfortably. The last thing you want to be doing is bowing your head or having to be bent double as you walk through your new room. So, prior to drawing up any plans for brand new and swanky modern loft conversion you need to get up in to the attic and conduct a very simple experiment. Go to the middle of the loft, where the roof is at its steepest angle, and you can stand upright without bending your head than there shouldn’t be a problem with sufficient headroom for your project. And, if you can stand upright and raise your arm above your head without touching the roof then you are definitely good to go! As a general rule of thumb the available headroom should be around 2.2 – 2.3 meters, this should be ample for most projects though some would argue that the ideal heights would be 2.2 meters if planning to add a dormer or 2.6-2.8 meters if you are installing flush fitting skylight windows. When calculating the available headroom it should be remembered that in a modern loft conversion that the new loft floor and flooring material will be higher than the existing joists with the subsequent reduction in headroom. Allow 150-200cm for this. An interesting point here is that the building regulations do not actually lay down a minimum height that is allowed for headroom. So the amount of headroom available, or the lack of it, won’t necessarily mean an early end to the project. If The Headroom Isn’t Sufficient? If you suspect the existing headroom will not be sufficient to allow you to convert your loft – don’t worry. There are ways and means of getting around this. The first and most obvious solution is to raise the existing ridgeline of the property. Engineering wise this isn’t to difficult but if will of course mean that a full planning application will need to be made. The success of that planning application will depend on the location and immediate environs of the property and may or may not succeed. The second option is more expensive but is a solution if raising the roofline is out of the question. If the property has generous ceiling heights in its existing first floor rooms than lowering the ceiling may be a feasible option. 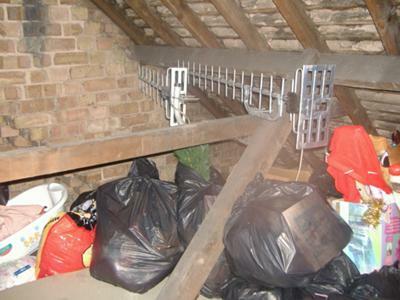 Although not cheap lowering the existing loft floor is very possible in most modern loft conversion.